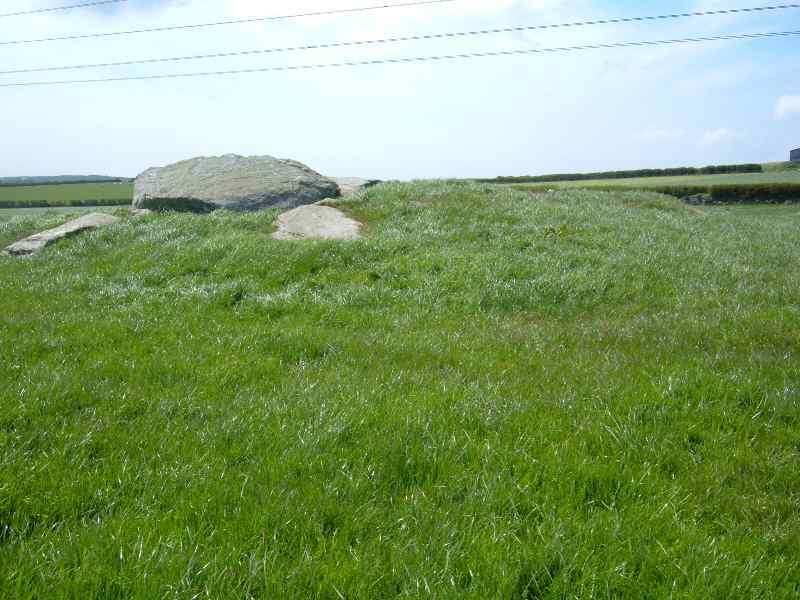 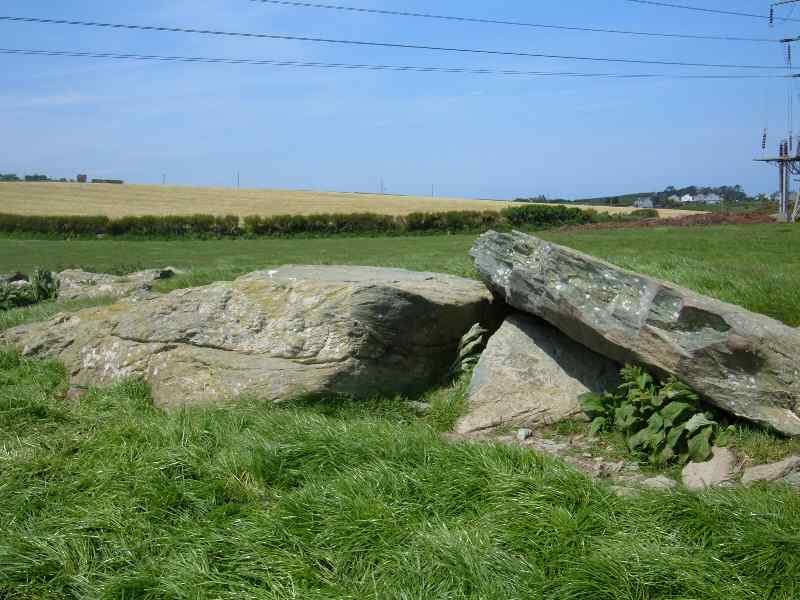 Llanfechell Cromlech (Burial Chamber) on Anglesey - an ancient monument on the island of Anglesey. 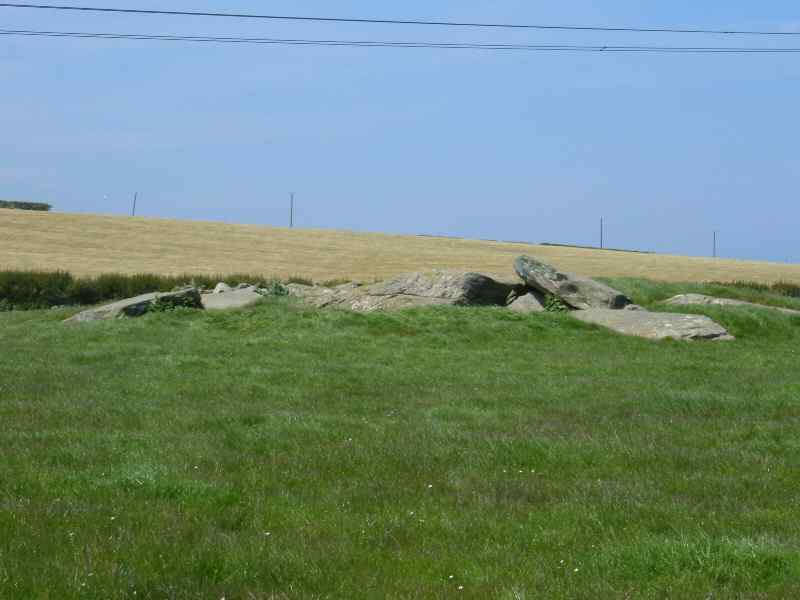 The remains of a cromlech (burial chamber) that has collapsed. 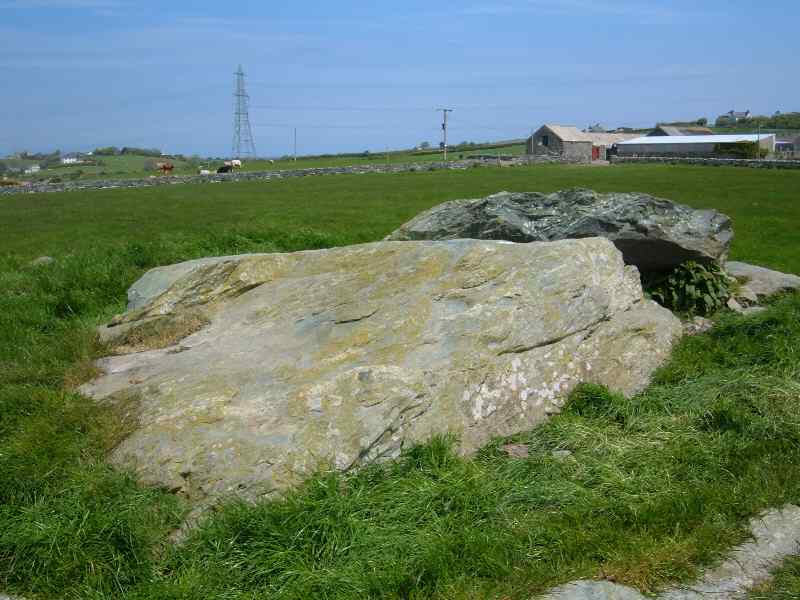 Reported as such in the 1868 National Gazetteer. 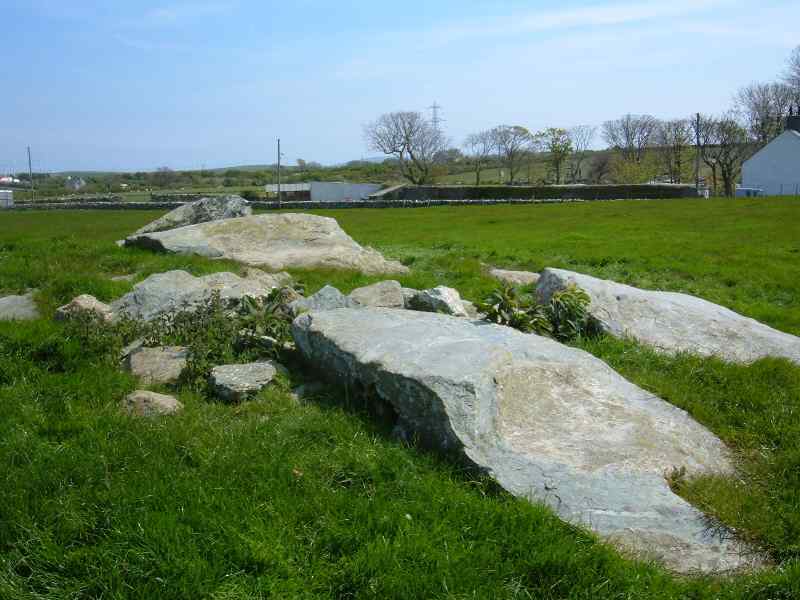 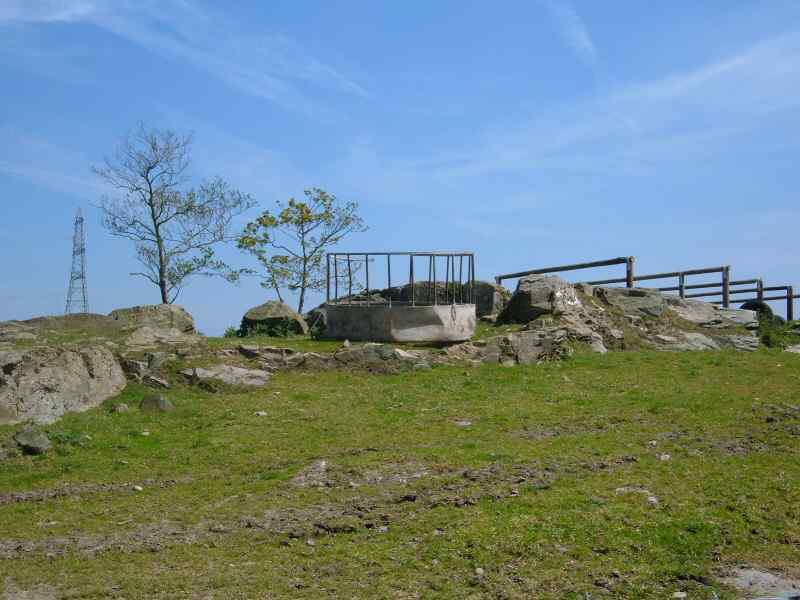 Located on a rural farm on Anglesey which is named - and always has been named - Cromlech Farm. 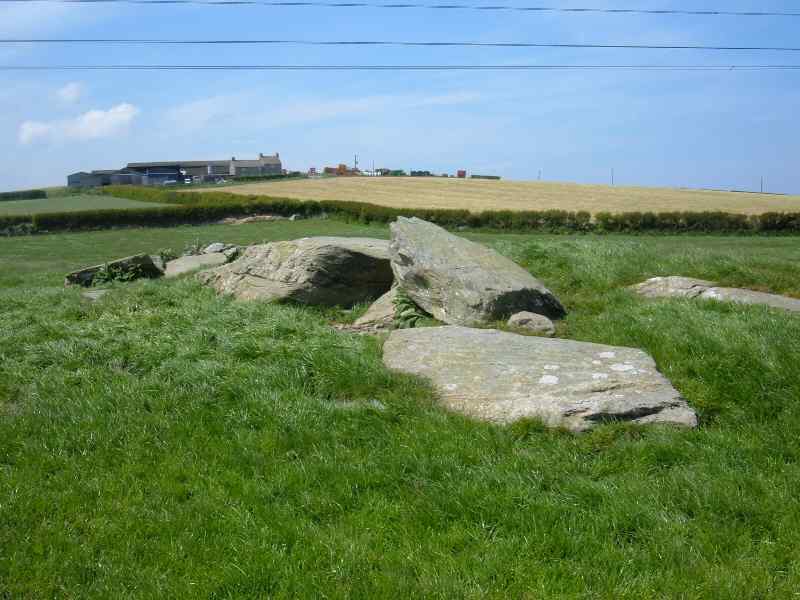 this may have even been a double burial chamber. 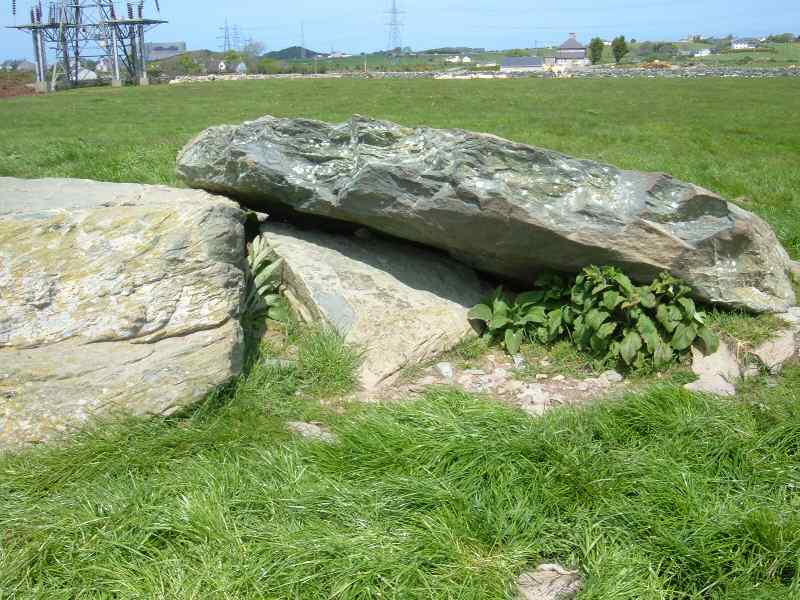 Located equidistance between the villages of Llanfechell & Tregele on Anglesey, it is in an area where there is also a single and trio of standing stones.